Telkwa is home to the first farm certified in B.C. 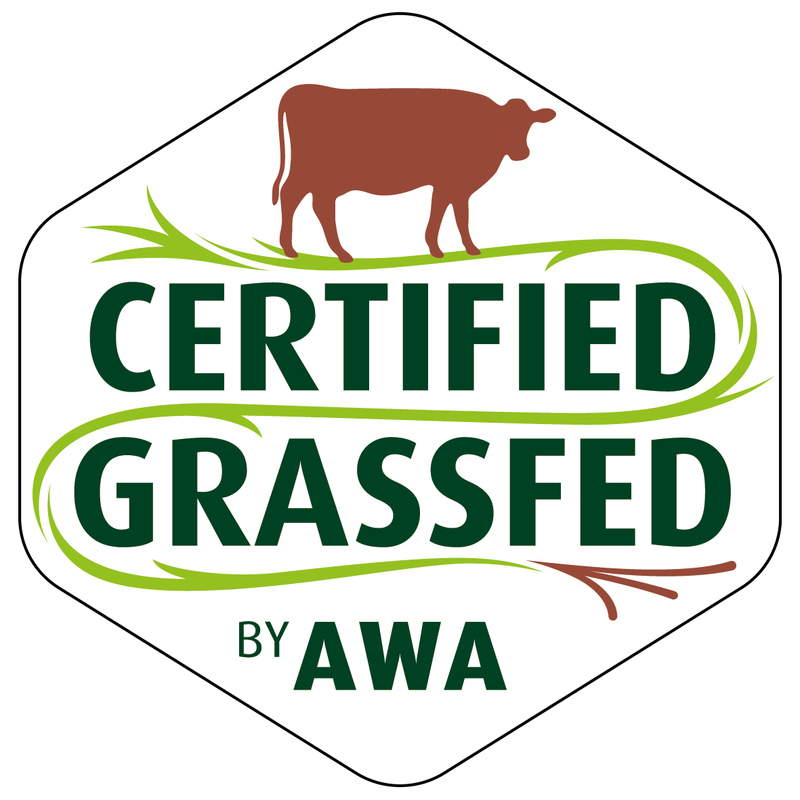 for both animal rights and naturally grassfed beef by Animal Welfare Approved (AWA). Owned by Les and Chris Yates, Lemieux Creek Ranch is a 327-acre ranch with 40 cows. They sold 15 animals for freezer beef last year, half locally, five in the Lower Mainland, and one each in Kitimat and Prince Rupert. Les says they want to grow their market to sell up to 30 calves locally and across B.C. To get certified, the ranch had to meet rigorous standards regarding animal care and environmental sustainability.Satisfying 26 pages of regulations, Les says they only changed one thing at their ranch: they wean calves after eight months instead of seven. Since their cattle are butchered at the Bulkley Valley Custom Slaughter plant in Telkwa, it also had to be certified by the AWA. Lemieux Creek Ranch was approved for the AWA certification in June after a detailed application, two phone interviews and a day-long visit from a Texas AWA auditor.“For us it was a validation of what we are already doing,” Les said. They always wanted to be self-contained and since they love animals, they treat them well. For Chris, the biggest thing is that the animals have a happy life and are not stressed, she says. 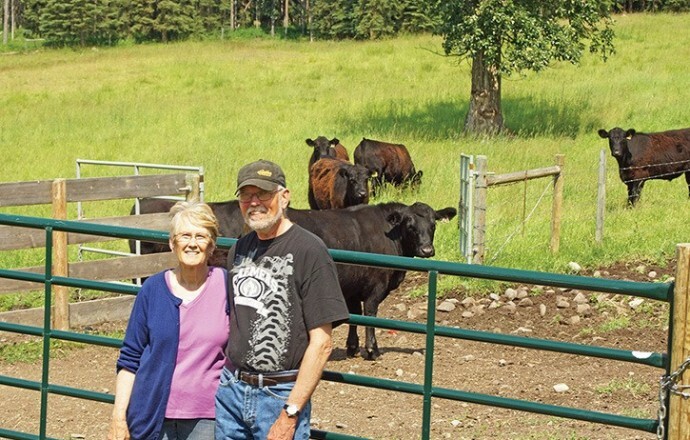 The couple bought the Telkwa ranch in 1993 and not a fence was standing worthy to hold an animal, Les said. They built nearly everything, coming to the ranch on weekends with their family from Prince Rupert. In 1998, they moved to the ranch and started off with three Galloway cow-calf pairs. After growing their herd to 40 — perfect for their 327-acre ranch — they started selling. Les says they always sold meat locally to those who wanted grassfed beef, but only five years ago they found out they fit a niche market. When Les retired three years ago from managing the Telkwa Bulkley Valley Home Centre, they started actively marketing their gras fed meat. Grassfed beef is known to be “lean, clean and nourishing.” There is no concern about genetically modified organisms (GMO). It is low in saturated fat and there is a better balance of Omega-3 and Omega-6, which is lower in cholesterol. It also has conjugated linoleic acid (CLA) which is believed to fight cancer, prevent diabetes and inhibit obesity. It also has better texture and “a different flavour, richer taste,” Les said. But it is more then health and flavour that draw people to the beef from Lemieux Creek Ranch. Lemieux Creek Ranch got certified last year by Verified Beef Production for food safety and by the Government of Canada for having an environmental farm plan. Now they have their animal welfare certification as well. Les says their cows are born on the farm and live out their lives on the grassy range there. They are only transported once – 14 kilometres to the abattoir, he said.